At the College of Communication, Fine Arts and Media, our interests extend far beyond the classroom, studio and practice room. Locally and around the world, we’re actively involved in sharing our talents and knowledge through teaching, performance and community partnerships. The Center for Innovation in Arts Education provides a permanent institutional base for the continuation and expansion of innovation in arts education and overall educational reform in cooperation with educators across the University system, throughout the state, and nationwide. The center, based in Art & Art History, organizes, facilitates and collaborates on arts education projects with K-16 educators, arts institutions and organizations. The center strives to fulfill its mission of innovation and effective leadership in arts education through its areas of focus in pre-service education, the theory and practice of comprehensive arts education, and applied research in art education. The Prairie Visions Institute has served as Nebraska’s leader in comprehensive arts education and interdisciplinary learning for more than 20 years. This professional development workshop is attended by arts educators, classroom teachers, administrators, and program specialists from museums and arts organizations. While most participants come from Nebraska and western Iowa, educators from as far away as China have attended the professional development institute. The UNO Center for Innovation in Arts Education provides the curriculum development, administration, organization and coordination of the weeklong summer institute in June. Participants engage in interactive learning in the visual arts, music, dance/movement, drama and storytelling, using multicultural perspectives, interdisciplinary connections and thematic curriculum development. Founded in 1973,UNO's Great Plains Jazz Festival is one of the premier educational jazz festivals in the nation. Featuring nationally renowned adjudicators and clinicians, the festival is designed to be an educational experience for band directors and middle school, high school and college students. Ensembles perform for written and taped comments and attend expert clinics. In addition to the individualized clinic each band receives, participants also have the opportunity to attend general clinic sessions presented by guest artists and adjudicators. The highlight of the festival is the opportunity to hear professional jazz concerts for free or greatly reduced prices. Jazz artists who have recently appeared at the Great Plains Jazz Festival include Béla Fleck, USAF Noteables Jazz Ensemble, Jim Widner Big Band, New Orleans Jazz Orchestra, Jim Pugh, Marvin Stamm, Hubert Laws, and Blue Note 7 featuring Ravi Coltrane and Nicholas Payton. Each month KVNO honors the gift of the arts in our youth by recognizing an outstanding student musician. A panel of local music educators and KVNO staff members choose students whose musical efforts exemplify the value and richness of the arts in a young person's life. Any young musician aged 7 to 13 who is studying and participating in vocal or instrumental music is eligible to be a Classical Kid. Winners receive a school visit from a KVNO representative and an award certificate presentation. Classical Kids also receive on-air recognition throughout the month and tickets to arts events, including the Omaha Symphony, Opera Omaha, and the Tuesday Musical Concert Series! Over the past two decades, the School of Music's International Music Touring Program has mounted 19 international music tours covering more than 20 countries across Asia, Europe and North America. These tours not only have provided students with the chance to travel to new places throughout the world, but also to develop lasting friendships. Student musicians have taken part in vocal and instrumental ensemble tours, most recently to Lithuania. The touring program benefits significantly from relationships with UNO’s International Studies and Programs, which has helped make many of the arrangements and contacts through its 30 global sister universities. Every musician who travels with our delegation is treated beyond being just another American tourist — they become special guests as well as ambassadors representing UNO, Omaha, the state of Nebraska and the United States. The UNO Library includes the Dr. C.C. 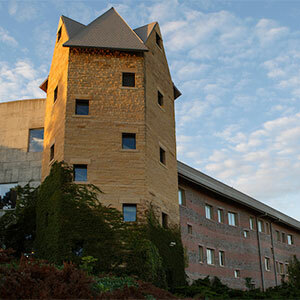 and Mabel L.Crisss Library on the UNO campus and the KANEKO UNO Library in downtown Omaha. Both locations are open to the public and offer unique resources that encourage education, collaboration and creativity. With more than 700,000 books, 300 databases containing 2,300 print and 45,000 electronic subscriptions, and music and video resources available, Criss Library has something for everyone. Whether people come to us through our website or through the door, users experience intuitive, seamlessly integrated access to relevant resources in many formats. Our services are aligned to provide an environment of discovery, productivity and intellectual exchange. Events and partnerships both on and off campus engage the library with UNO and its communities. Visitors toCrisss Library find themselves equally at home around a cutting-edge, multi-functional workstation or relaxing in a comfortable chair with a book and a cup of coffee. You can grab a coffee in our café, practice your foreign language skills at our fully interactive SCOLA language lab, get all the help you need for your research from our specialized subject librarians—and even take a ride into space at our visual space center. Located in the Old Market, this isn’t any usual library. UNO and KANEKO, a nonprofit cultural organization, has partnered to create a unique space that provides resources, stimuli, opportunities and intellectual possibilities. The KANEKO UNO Creativity Library is designed to facilitate learning and creativity, with comfortable chairs, couches and tables. The library’s collection features journals and books in fields that range from science and engineering to advertising, architecture and design to business, humanities and the arts. Wall-mounted plasma television screens offer video-conferencing space, and a computer center can be accessed to create presentations. Free Wi-Fi connects visitors to the UNO network, where they can access UNO’s vast collection of scholarly journals and databases. Beyond their regularly scheduled stage performances throughout the year, members of the UNO Theatre have a far-reaching impact on our community. Project Harmony, a local nonprofit specializing in support for abused and neglected children, provides realistic training environments for family services organizations through use of a revolving stage designed by Professor of Theatre Steven Williams. The stage, which rotates at the push of a button to show different areas of a home, helps social workers recognize obvious and discreet signs of tenant drug abuse, child neglect, gang activity and other social ills agencies may encounter doing home visits. Williams built the stage with the help of former UNO theatre students. His wife and children acted as set decorators, visiting thrift stores and garage sales to find props. More than 500 individuals used it for training last year alone. Students from Doug Patterson’s “Introduction to Theatre” class partnered with students from Milliard Horizon to present five interactive vignettes on how to identify, cope with and stop bullying. Paterson’s course was designed to incorporate a service-learning component in collaboration with UNO’s Service Learning Academy’s P-16 Initiative. Through these service-learning partnerships, P-16 brings the classroom into the community through application of education to find solutions to real-life problems. Once each performance was over, audience members were invited to discuss options for what the protagonist could have done instead of what was shown. The scene was then be performed again and audience members physically took the place of the protagonist in order to try out their ideas. Collaboration between CFAM’s School of Communication and the UNO College of Information Sciences and Technology, the Social Media Lab provides consultation services to scholars, students and community partners. The center helps clients collaborate on forms of socialized computer-mediated communication, offers events, educational courses and workshops to serve clients, and performs cutting-edge research related to the use of social media. The Social Media Lab is one of the latest tenants in UNO’s Barbara Weitz Community Engagement Center, the first stand-alone, comprehensive facility based on a university campus fully dedicated to community engagement. UNO Television UNO TV) serves and enriches the community through television programming that educates, entertains and informs. Professional staff responds to the varying needs of the UNO community and viewers through distinctive, high quality programs and the innovative application of technology.UNO Television is committed to providing the very best programs and services to a growing number of satisfied users. UNO TV also operates the Omaha Production Center for Nebraska Educational Telecommunications (NET) Television, one of the country's foremost state networks, and produces programs for statewide distribution on NET. 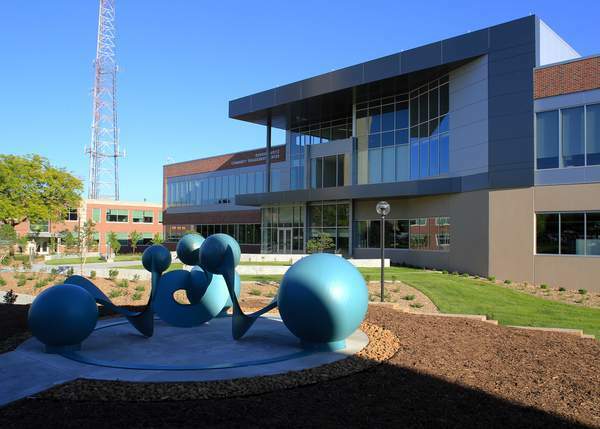 Distance education and telecourses are provided through the UNO TV facility, in addition to local programing for The Knowledge Network TKNN) of Greater Omaha, a non-profit designed to provide educational services via local broadcast and cable television. CFAM’ss Visual Resource Center houses a large collection of art historical images. The center's goal is to make these and other visual resources available to the UNO community, and enable users to explore the history of art as it exists beyond the still image. By providing links to expertly curated image groups and virtual tours of monuments and museums, users are encouraged to indulge their exploratory nature, and experience the history of art in a new way. Each year, around 150 CFAM students connect with the community and earn valuable professional experience through our internship program. Through established partnerships with business, arts and cultural organizations, there are many options available. The University of Nebraska Omaha’s commitment to engagement has a new building fully dedicated to collaboration. The Barbara Weitz Community Engagement Center is a nationally unique space that serves to strengthen UNO's existing outreach efforts and foster future opportunities for partnerships between UNO students, faculty, staff and nonprofit or governmental organizations. For 105 years, UNO has been dedicated to engagement and education within the Omaha metropolitan community, this special center adds a new venue from which this tradition can continue.